Deck your party and dinner table decorations with personalized paper Christmas napkins this holiday season. 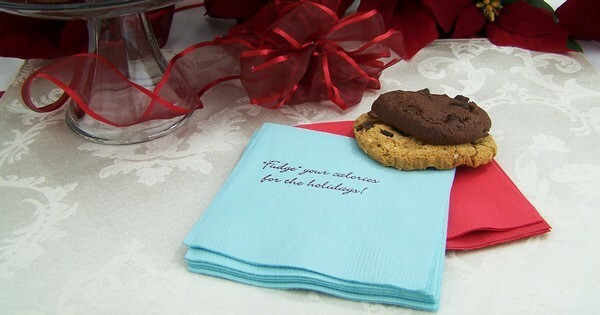 Order cocktail napkins custom printed with your choice of a festive holiday design and up to 4 lines of text for your family name, holiday greetings or whimsy party quips. Decorate your appetizer table, home bar, entertainment area or company party as family and friends gather to celebrate and reminisce during this holiday season. Oh No! You waited until the last minute and need napkins in a hurry? We also have pre-printed Christmas napkins available in a variety of designs that are ready to ship to ensure your party is a hit.